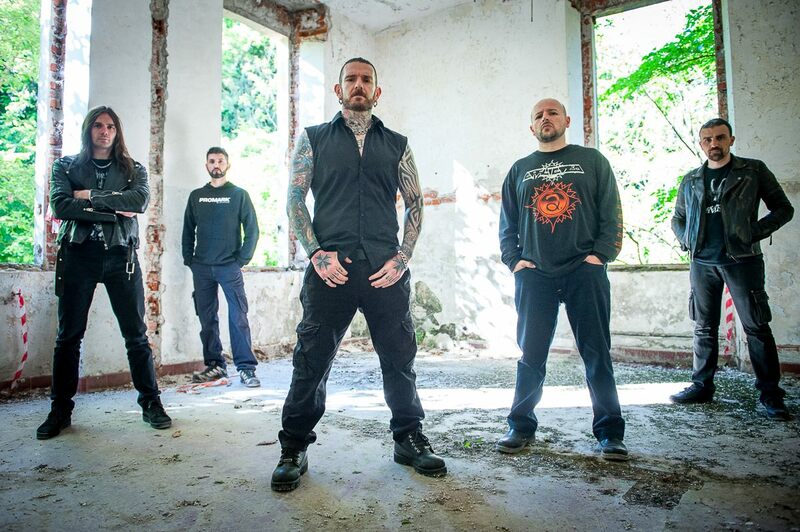 Maltese long-running death metallers BEHEADED, by far the island’s biggest metal export, have signed a record deal with Agonia Records. The band is currently gearing up to perform as a co-headliner at this year's Metalgate Czech Death Fest in Czech Republic, on the 16th of June. On signing with Agonia, BEHEADED's vocalist Frank Calleja commented: "The unholy alliance between Beheaded and Agonia Records has begun for us to carry forward the legacy of the beast and let the horror breathe. DEATH IS COMING". BEHEADED rolled into life in 1991 with Malta as a backdrop to its caustic roots of death metal. Drawing inspiration from death metal hailing from Europe and the US at that time, and diving head on in the tape trading, zine and snail mail networks, BEHEADED furnaced its demo "Souldead" in 1995. With its strong statement and character, both European and worldwide record deals preceded the final cementation of the band as a placeholder in the extreme music scene. With six official releases under its belt, respect was gained through the energetic live set tying its relentlessness to its pure death metal inner sanctum. Several tours and festivals in Europe, US and Asia have channelled this thick skinned aural punishment to crowds all over, bringing more devoted followers in this death metal cult. Years ahead have taken the tinge of freshened vigour; BEHEADED is ready to deliver death metal of the highest caliber. BEHEADED released its last album "Beast Incarnate" via Unique Leader Records in 2017. More news on its follow-up and Agonia Records debut will follow.